The R37 absolutely blitzed the racetracks, taking 91 European wins in 1925, 105 in 1926 and a just extraordinary 171 in 1927. 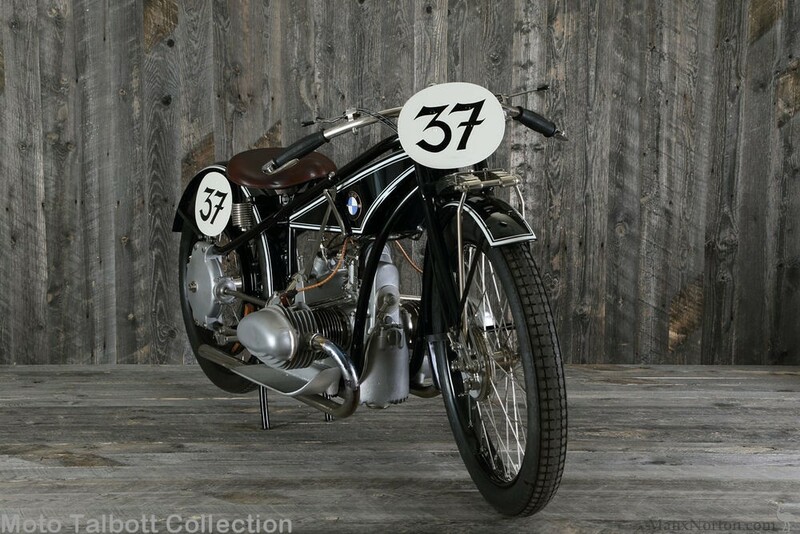 BMW R37 riders won the German championship every year from 1925 to 1929. Also featured (with star status) in Munich's dazzling BMW museum, it is one of the most famous - and rarest - of all BMW motorcycles. After the model run ended individuals increased the power output substantially, in particular Ernst Henne who began with a fairly standard R37 and went on be named the "Fastest Man on Two Wheels"